Bronze - Peter Joy and Liam Bovell. 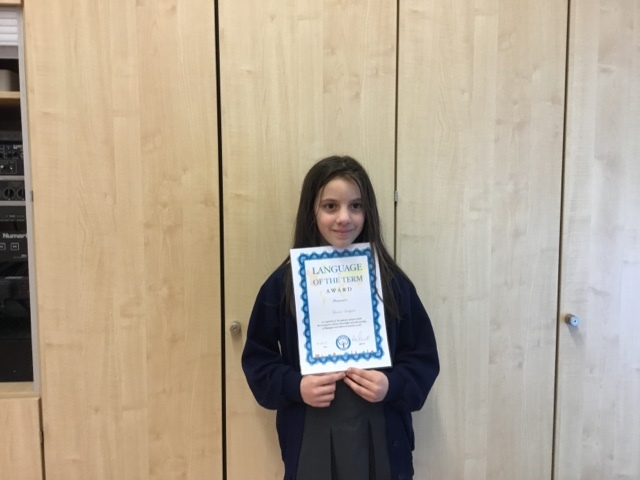 Silver Pencil - Emily Claydon, Sienna Nickson and Ashlee Wright. Silver certificate - Jennifer Wall, Maisie Crane, Klaidi Krasniqi Leah Sharpe, Kaley Watson, Aimee-Leigh Parmenter and Nela Urban. 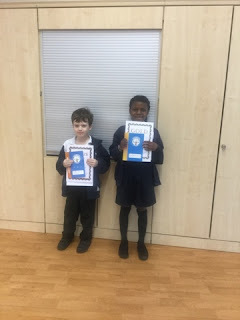 Golden certificate - Moyin Ayodola, Jorja Dines. Megan Lockhart, Elena Amato and Ronnie Mersh. Platinum prize - Summer Wingrove, Kiera Taylor, Molly-May Harrop and Tyler Wager. 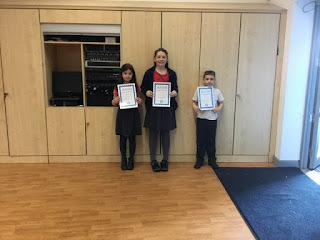 Diamond prize - Oliwia Bartnik, Sam Doidge and Megan Lewis. Star prize - Fayo Ayodola and Kaden Nicol. 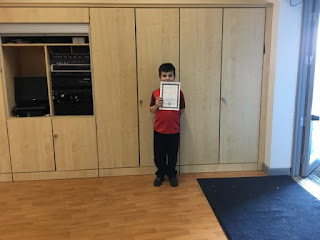 Star certificate - Arya Shah. 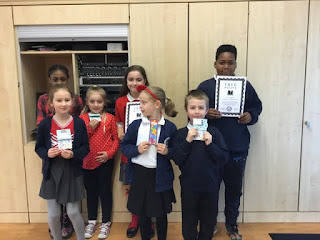 These children completed exciting science experiments at home or discovered facts about famous scientists. Congratulations to Temilola Omisore, Sophie Daflon, Katlyn Mukandavire, Moyin Ayodola and a big well done to Bella Hyder for winning first prize for her facts about the Big Bang! 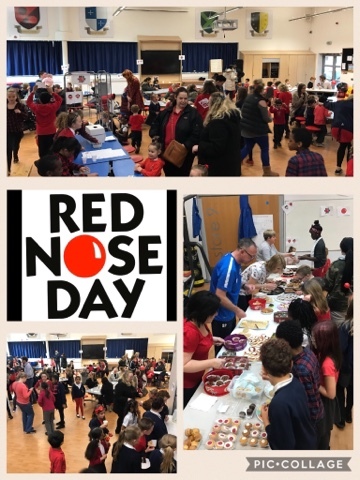 Last Friday, we had a very successful Red Nose fundraising day. We made an amazing £832 which has now been gratefully received by the Red Nose organisers. 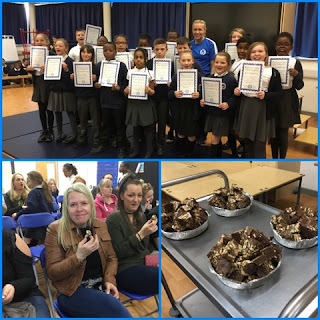 We would like to say a very big thank you to everyone who donated and to all the parents who joined us for another great coffee morning. What a fantastic example of acts of kindness to set to our children! The raffle from the coffee morning will be drawn on Friday. Look out on the blog for the winners! What a wonderful term in school we have had and the impact of a busy but, certainly from my point of view, extremely positive and productive term can be seen by all. I would like to take this opportunity to thank the students for their diligence and achievements so far this year. 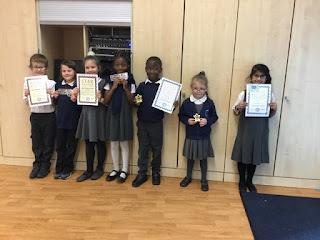 We have so many success stories to share and good news items to celebrate together. I would also like to thank the staff for their dedication and hard work, as well as parents and carers for your continued support of Broadford Primary School and our students. 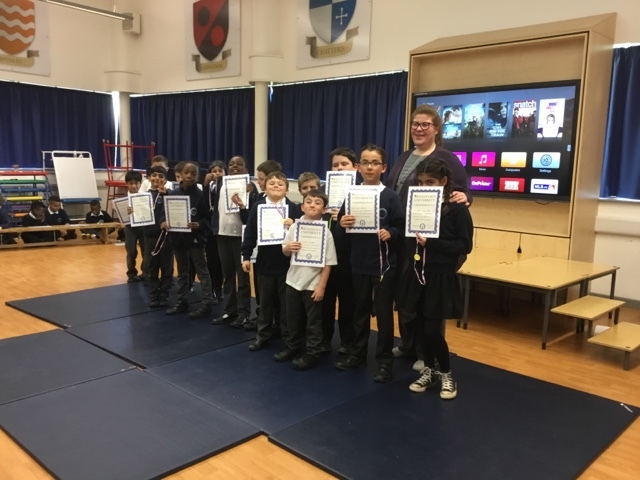 Once again, I would like tell to you what an honour it is to lead such a fantastic school and privilege to be part of the Learning Federation. . I hope you and your family have an enjoyable and restful break. I look forward to seeing your children refreshed and ready to learn on 18th April. 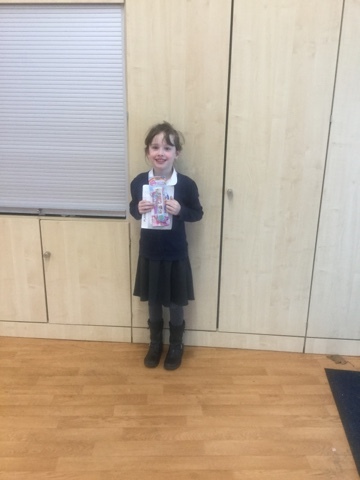 Last Friday, we had a very successful Red Nose fundraising day. 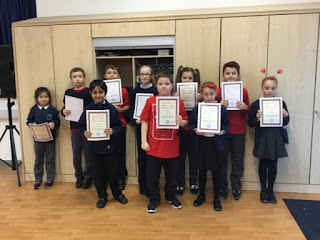 We made an amazing £832 which has now been gratefully received by the Red Nose organisers. We would like to say a very big thank you to everyone who donated and to all the parents who joined us for another great coffee morning. 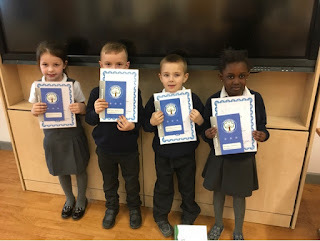 What a fantastic example of acts of kindness to set to our children! The raffle from the coffee morning will be drawn on Friday. The doors will open for guests at 2.15pm. The students work will be displayed around the hall. Your child will be in the hall to meet you and show you around the Art Exhibition. At 2.30 pm we will ask all guests to take a seat so that we can present the students with their degree certificates. We look forward to welcoming as many parents as possible. Monday 27th March saw the first students from the class of 2017 graduate from the University of Broadford. With the thrill of having an audience before them, the Scintillating Circus Skill graduates opted to show off their juggling skills and their diabolo skills in a fun and impressive way which absolutely dazzled their parents and peers. They even taught Mrs Nicholls and Ms Wise a few skills! 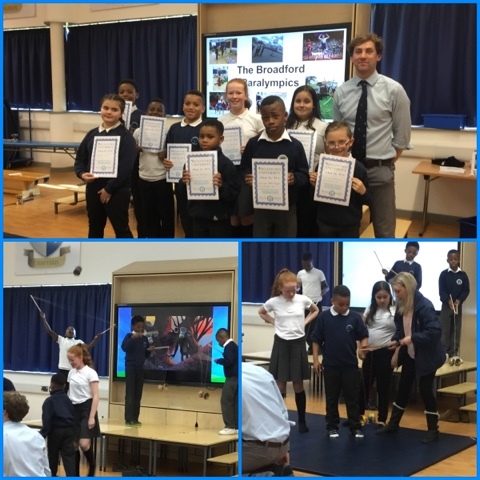 Broadford Paralympians described how they have welcomed new challenges and collaborated with each other to accomplish great things. We also watched some fantastic clips of them in action! 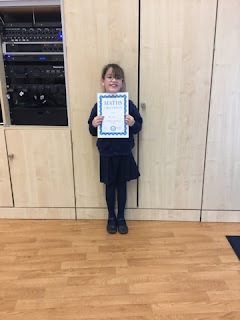 Over the 10 weeks, the I’m a Pupils get me out of here! 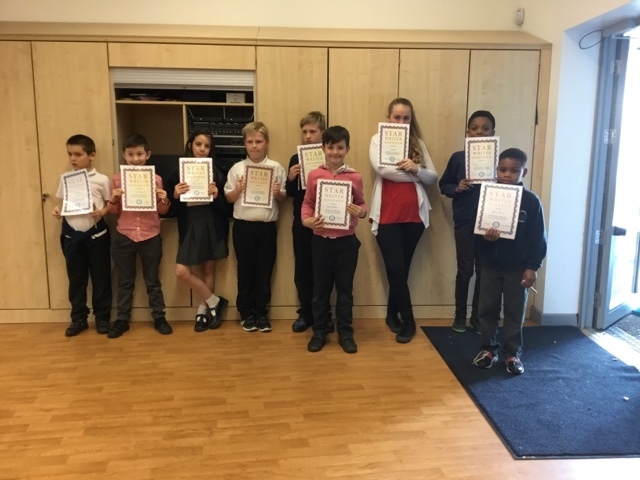 students have been completing team challenges, using their learning powers of resourcefulness, reciprocity, resilience and reflectiveness. We found out during the graduation that Team Kirk has earned the most points and took home the trophy! Players choose their first opponents in the Chess tournament. The loser of each game was eliminated. Players continued to protect and capture using the special moves they had learned, until one chess player was left standing. 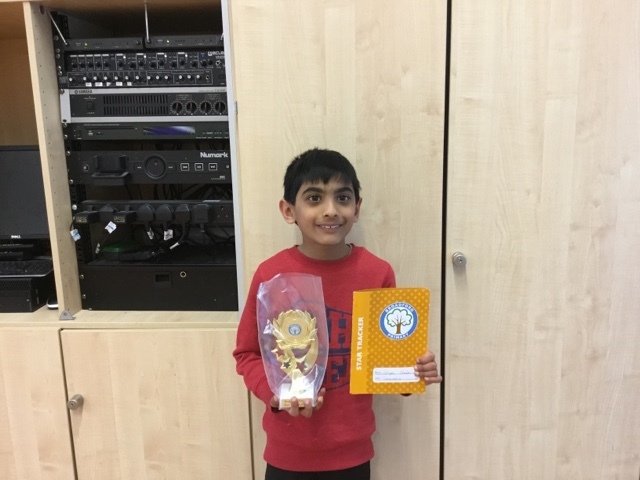 Kaine Painter was crowned the ultimate chess champion. Well done Kaine! The Broadford Bakeoff finale was a dessert that no one could refuse. A mixture of marshmallows, mars bar, malteasers, chocolate, cherries and much more. 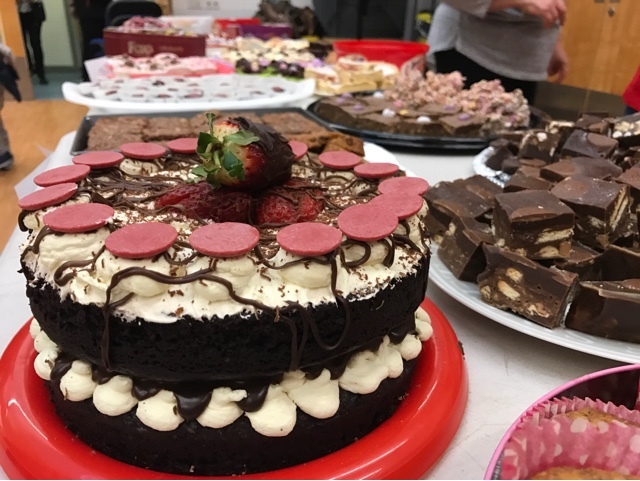 This Rocky Road treat allowed the bakers to show off all the skills they have learnt throughout the course. And it was absolutely delicious! James Olatunji, Bonnie Martin, Lucy Stevens, Athenkosi Nombeko, Tyler Wager, Bradley Joy, Finley Redmond, Tyrell Bertin, Jessica Simpson, Daniel Kalusha and Rokas Zaikauskas. 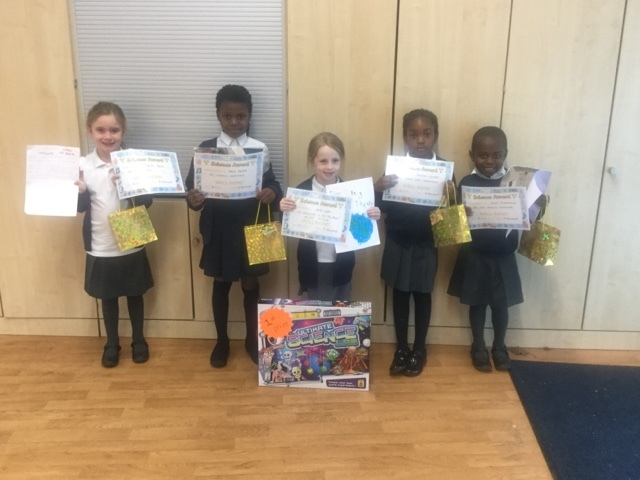 Leanne Royer, Dorrie Lewis, Isla Saunders, Jorja-Mae Dines and Fitzroy Bamgbelu. George Hart, Polina Backane and Rebeca Antonoaie. 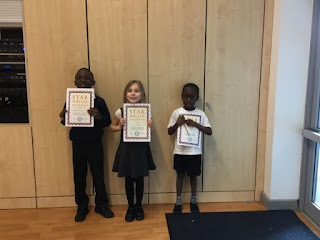 John Olatunji, Nicole Alao, Srinika Manickavasagam and Riley Twum-Ampofo. These children have been giving up their own time and volunteering to make our school a better place for us all. 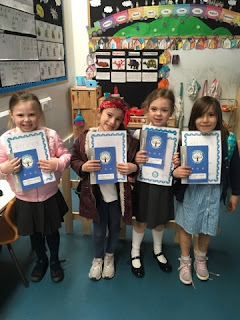 Zara Satti, Hollie Gray, Ella Nash, Harry Hann and Lily Gray. 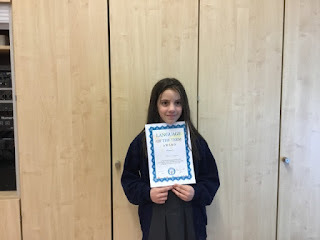 Jessica Simpson receives an award in recognition of the impressive project which showcases your extensive knowledge and understanding of languages and cultures around the world. 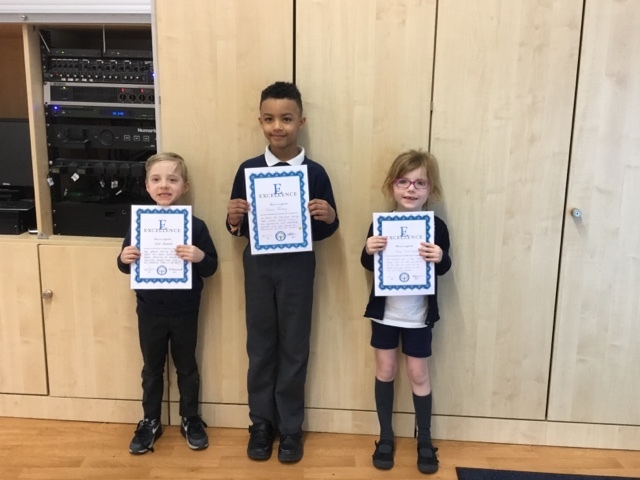 These pupils have made their teachers very happy this week for taking on extra responsibility and putting in extra effort. Violet Chilton and Alice Adedipe. In recognition of an excellent project which has been produced at home, Oliver Stay has earned himself a project superstar award. Well done Oliver. 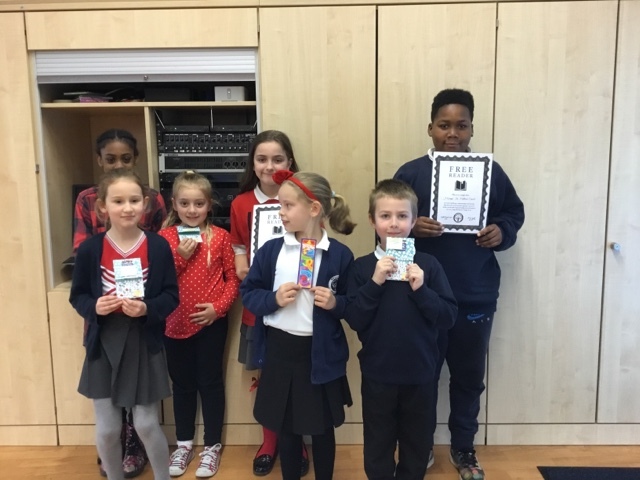 Platinum prize - Ethan Himuyandi, Ketty Omwanghe, Rshid Sillah, Taylor Royer, Archie Dempsey, Oliver Dodge, Ameerah Bashir and Lewis Davis. 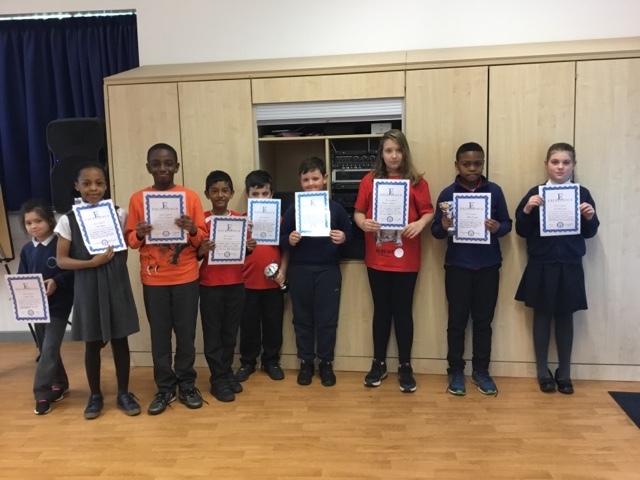 Lewis Makolli, Jorha-Mae Dines, Gavin Butler, Jessica Diaz, Samanyu Handoo, Libby Northwood, Fabian Cacaj and Courtney Simpson. We are always looking at ways in which we can become environmentally friendly and reduce our carbon footprint. We have received fantastic and very positive feedback in regards to the online booking system which has been implemented for parents evening appointments and this has significantly reduced the amount of paper used in school. From the beginning of next term we would like to trial a new system for the circulation of the weekly newsletters. If you would like to continue to receive a paper copy or an electronic copy of the newsletter please come into the office and inform Mrs Taylor. 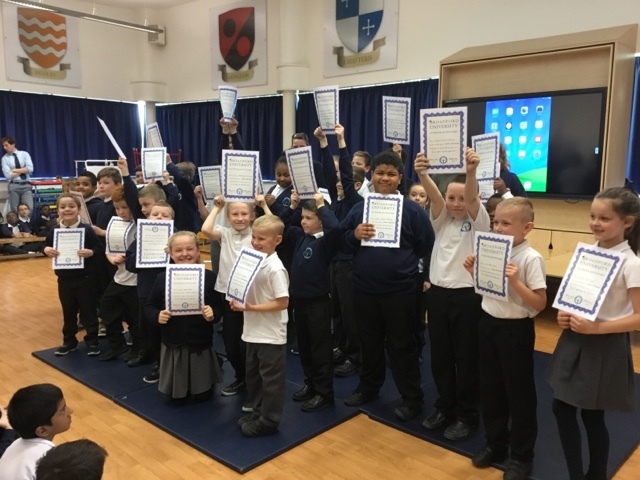 If you do not make a specific request you will be able to access the newsletter on the school blog and facebook page every Friday. 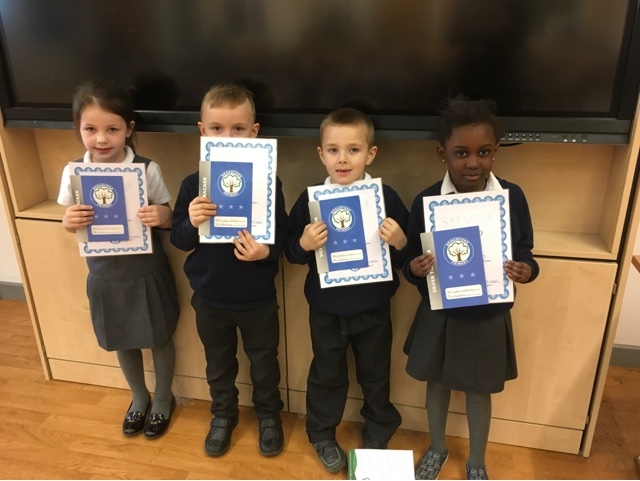 I am sure you will agree with us that this will go a long way towards us becoming a ‘greener’ school and working towards a better future for all of our children. We are looking forward to welcoming parents into school on Tuesday 28th and Wednesday 29th March for parent consultations. 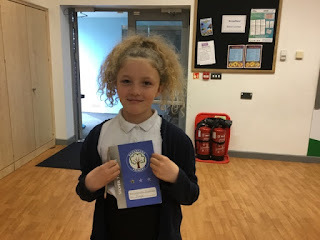 Your child will be bringing home today an appointment time for you to meet with their teacher and find out how they are progressing this year. 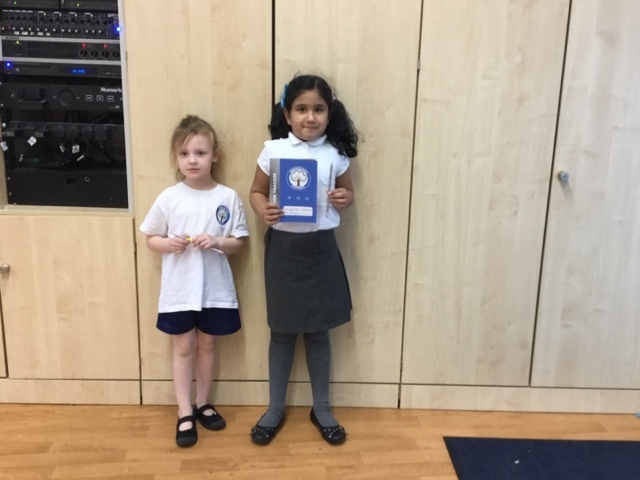 On this occasion the pupils books will be available for you to look through and these will be situated outside the classroom in trays. Please feel free to have a look at the work and then return the books in the trays to the table. Looking forward to seeing you all next week. 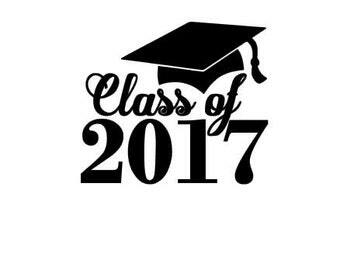 Monday 27th see the first of our Graduation assemblies for the week. The pupils will be sharing their learning and receiving their degree certificates at 2.15 pm. Tuesday 28th is our Spring term parents evenings, for further information keep reading. 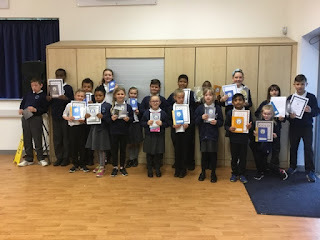 On Wednesday 29th, we would like to welcome all parents along to our clubs sharing assembly. 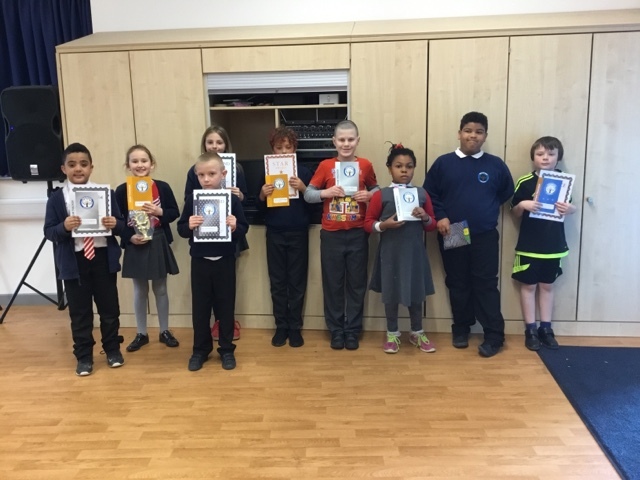 The KS1 and KS2 choir, dancers, cheerleaders, actors and musicians will be sharing their amazing talents with us. 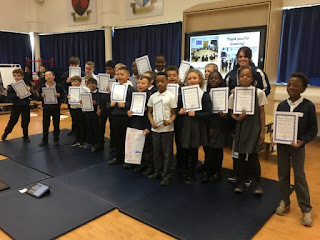 At 2.15 pm we are hosting the second Graduation assembly of the week. After school we have the second parents evening of the week. We are finishing the week and the term with the third and final Graduation assembly. 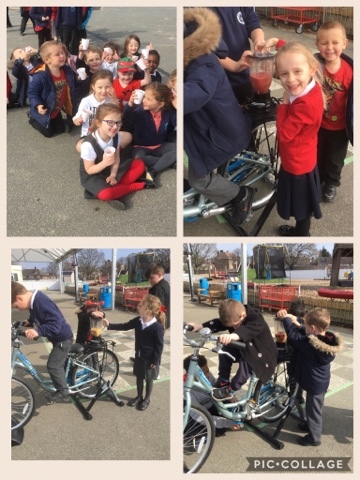 This week at Broadford, all classes from Nursery to Year 6 participated in smoothie making using a specifically designed bike, with the blades powered by pedals. 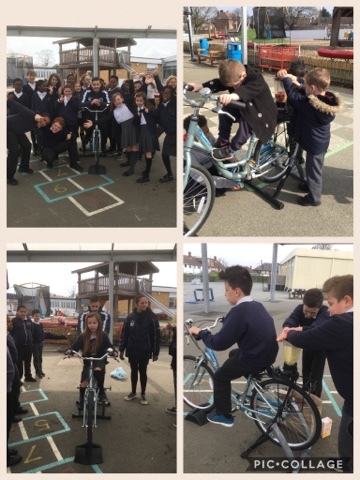 As part of the Big Pedal, it was great to see the children engage so positively with bikes and healthy eating. Some of the fruit in the smoothies were ones the children had never tried before! 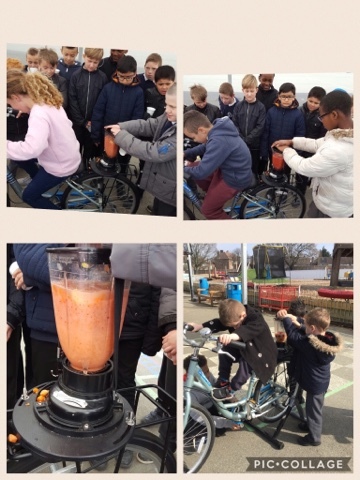 The smoothie bike was fun because we got to create a smoothie using delicious fruit and hard work! I made a tropical smoothie which had coconut and mango in it! The smoothie was delicious, I wanted more! 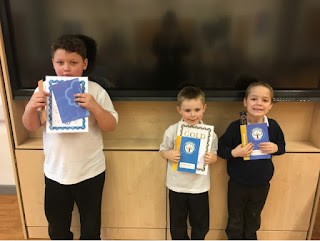 Just a reminder for all parents that the Spring term ends on Friday 31st March at 3.05 pm for pupils in Reception, 3.15 pm for the rest of the school and 3.30 pm for Nursery pupils. We return to school for the summer term on Tuesday 18th April with breakfast club starting at at 7.45 am and for all other pupils the doors will be open at 8.30 am. 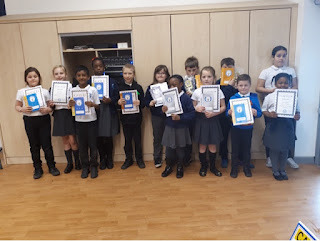 As you are aware the children in year groups 2-6 have been attending the University of Broadford every Friday afternoon for the last ten weeks. 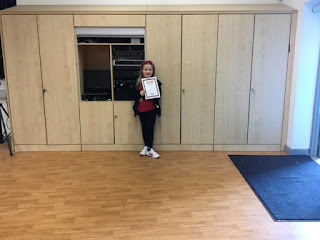 There have been 15 degree courses running including chess, dancing, and bakery. 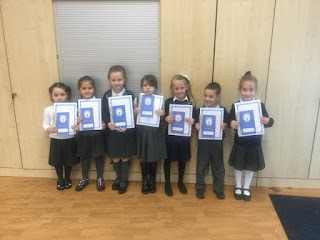 All of the pupils have been studying very hard in their chosen subject and have earned their degree. Next week we will be hosting graduation ceremonies for the class of 2017 and will see the third cohort of graduates from the University of Broadford receive their degrees. There will be 3 afternoon of graduation ceremonies throughout the week and you are invited to attend this prestigious occasion. Below is a timetable for the week, your child will be able to tell you which course they have been studying and we would love to see you at the graduation to share your child’s achievements with you. I'm a Pupil Get Me Out of Here! 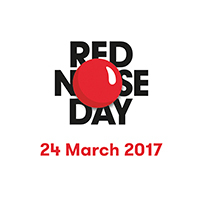 Tomorrow, we will be supporting Red Nose Day. Normal school uniform must be worn but for a voluntary £1 per family the children can wear something red. For example: a t-shirt, a jumper, a dress, a headband, trousers or even a pair of socks/tights. 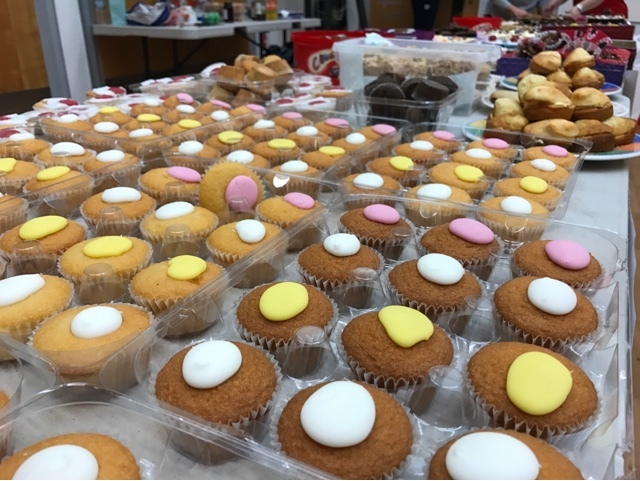 We will be starting with a Cake and Coffee morning from 9:15 to 11:00 in the New Hall. Below is a rota which indicates when each class will be attending. Cakes will be sold for 50p or £1 and a voluntary contribution can be made towards the tea/coffee. During the morning, two games will also be running. Firstly, we will have a raffle, each strip will cost £1 and there are some fantastic prizes to win. Secondly, we will be holding a 'Guess the amount of Noses' competition. Around the hall, Red Noses will be scattered, your job is to guess as close to the correct amount as you can. £1 to enter, will you be our lucky winner? Finally, during lunch time the children will 'Cage the Teacher' who has the most votes. The voting for this is going to tcpntinue tomorrow morning. 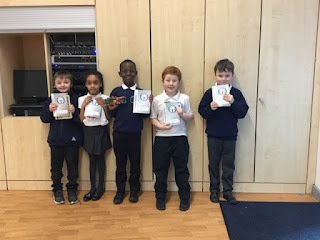 The children can vote for the teacher they wish to cage at Lunch or Break time and it is 50p for one vote, the children can vote as many times as they want. 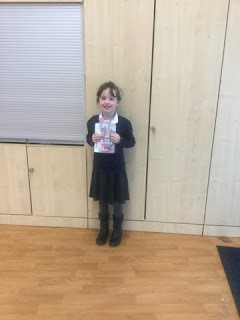 We hope to have another successful Red Nose Day. 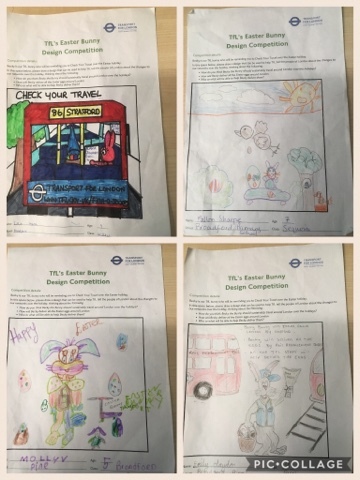 Again, the JTAs were inundated with fabulous entries for the TfL Easter card competition which made it very hard to judge the winners. 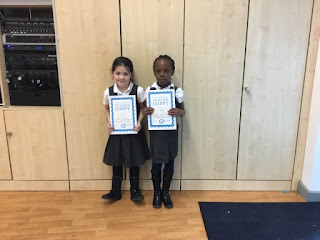 The children designed fantastic drawings which showed how Becky the Bunny would deliver her eggs over the Easter period. Well done to Emily Claydon (Birch), Molly Vincent (Pine), Fallon Sharpe (Sequoia) and Lillie Mersh (Willow). Great job; your designs have been sent off to be judged by Transport for London! Competition: Design the Easter TfL Card! 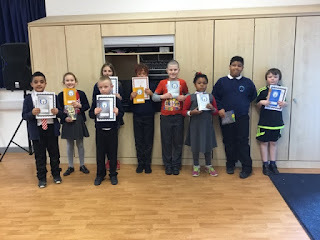 Competition: Design the new WoW badge!